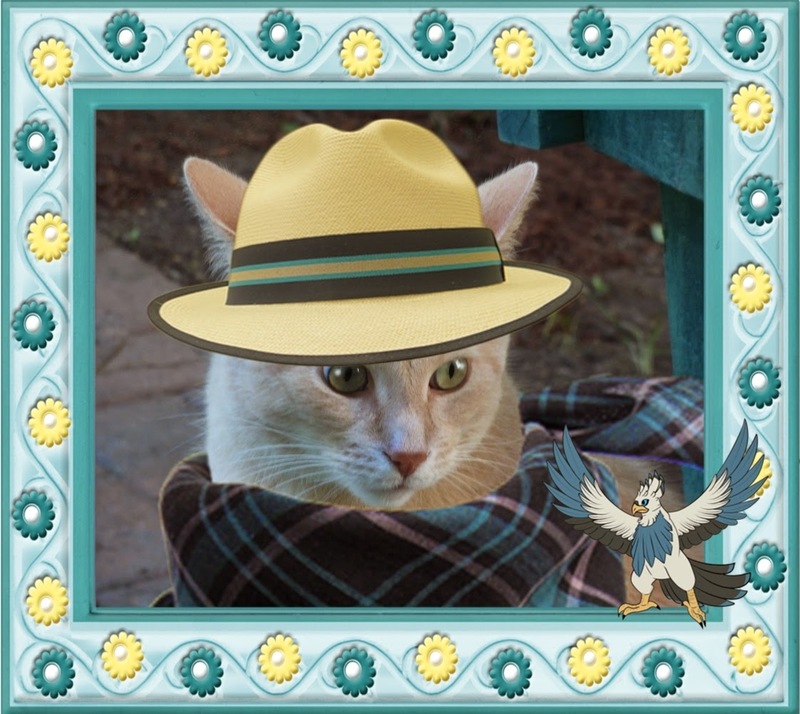 Wendy's 3-D Cats: MORE ON 3-D MILLINERY MONDAY! Domino, Dylan and Dante are each quite distinctive in the headwear that they choose. 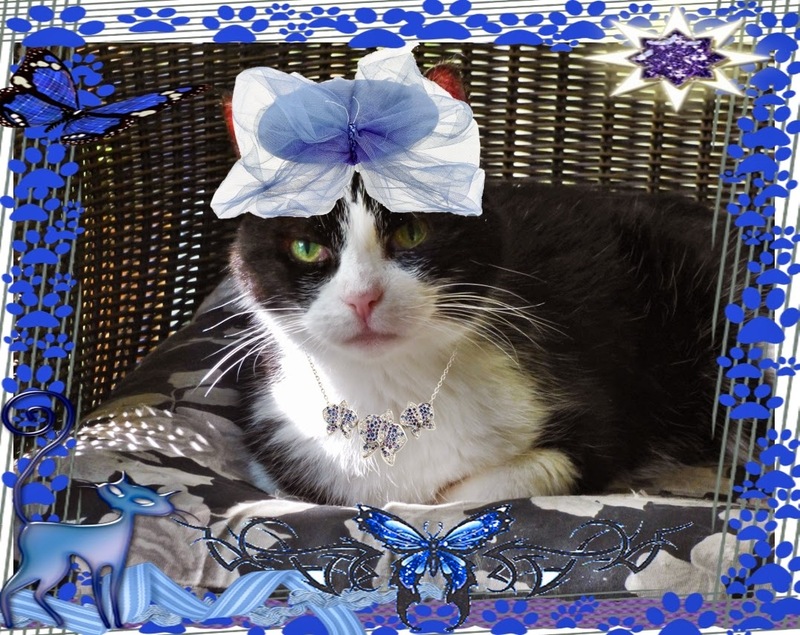 Being fascinated by butterflies, Domino has selected a blue butterfly fascinator and has coordinated it with a silver bejewelled butterfly necklace. Get out your butterfly nets, efurryone! 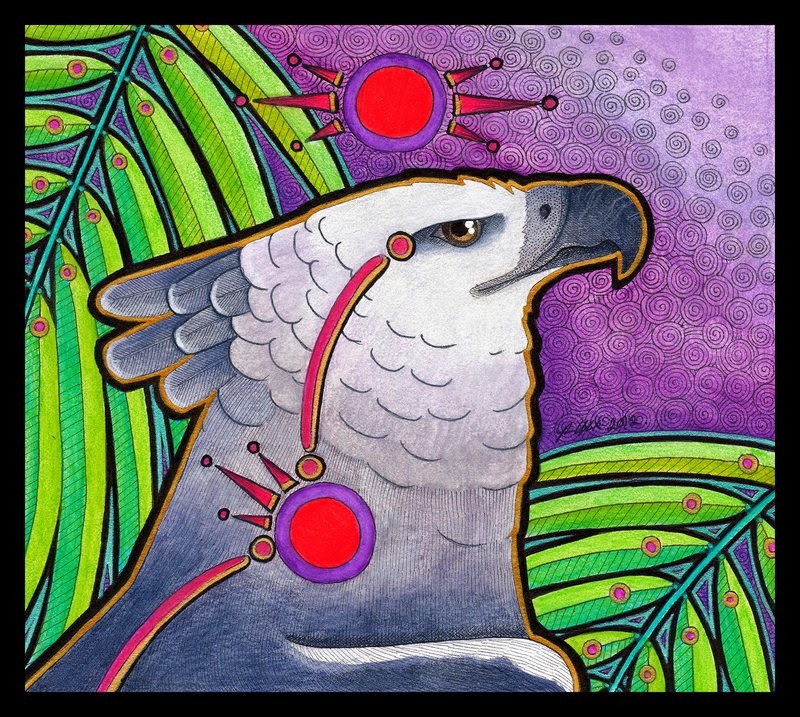 Dylan has taken inspiration from his panama hat and has befriended Panama's national bird -- the Harpy Eagle. "I dunno about him doe", says Dylan. "He keeps harpin' on da same ol' fings ovah an' ovah an' ovah!" Oh well, he can always 'unfriend' on Facebook if need be. And this is what an 'unfriendly' harpy eagle looks like! Oops! Dante fancies himself a 'cowpoke' because he just loves pokin' cows! He's gone traditional in a brown leather cowboy hat with braided band, and a red neckerchief. It sure doesn't looks like that cow appreciates Dante's tactics, however. 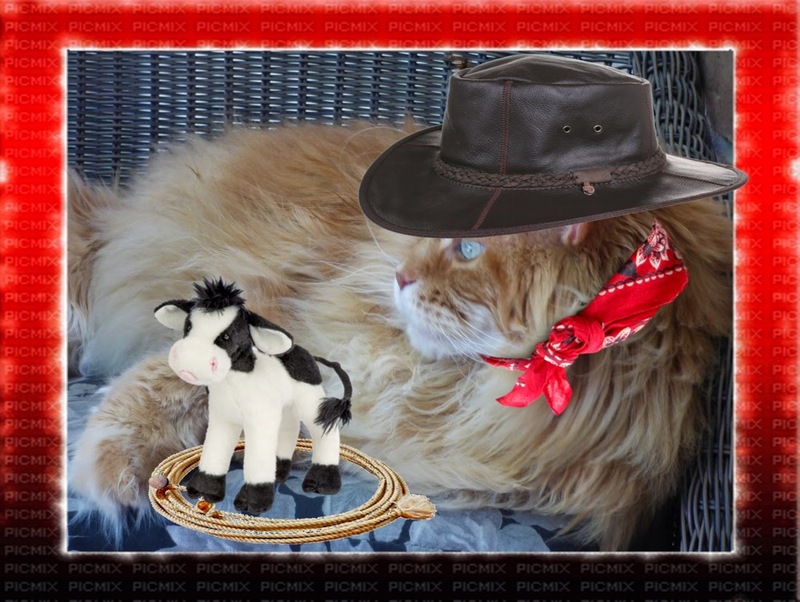 "Alass, is bad enuff bein' lassooed" says the cow with a frown. "But dis guy hasta add insult ta injury by pokin' me, too!" Unfortunately, being assaulted like that has left this poor cow with a poker face. Methinks Dante better rethink his PURRactices or he's the one who's gonna end up in the pokey!